Do you know that great feeling when you come back from a vacation and you don’t feel like breaking the scale in half? After indulging for almost two weeks in the best of what the Mediterranean diet and lifestyle have to offer, I was delighted when I returned home lighter than when I left! I first discovered the Mediterranean diet about 10 years ago when I was involved in producing content both about Greece and about healthy living. The more I researched, the more I realized that two topics blend in very well. It was then when I decided to adopt this delicious yet healthy diet. 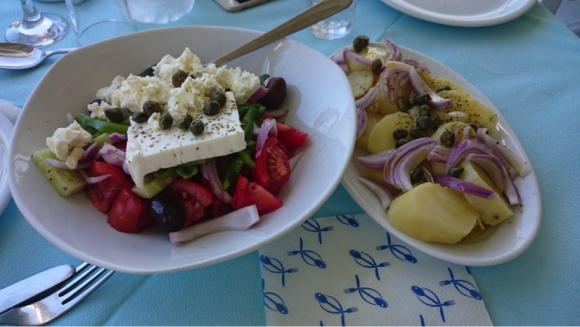 Since then, I’ve had the pleasure of traveling to more than one country where you can easily indulge in the Mediterranean diet on a daily basis. Yet no matter what new dishes I try, admittedly enjoy the Greek version the most. 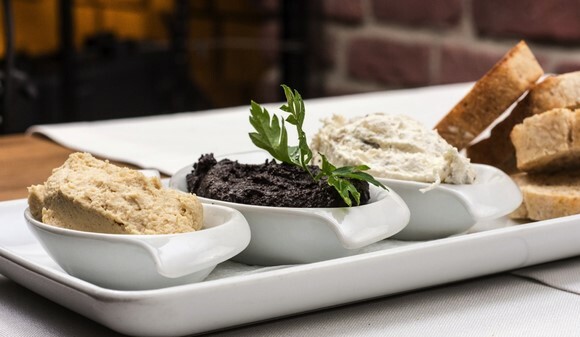 The Mediterranean diet is based on how the Cretan men ate back in the 1960s, with an emphasis on local, seasonal, and organic produce. It is primarily based on plant-based foods, such as vegetables, legumes, fruits, and nuts. Butter is replaced with olive oil and herbs are used instead of salt to add flavor to the meals. Fish and poultry are consumed about twice a week, while red meat is only included in the meals at most two times a month. Meals are a family and friends’ affair featuring a variety dishes which are shared. Spending time in nature and getting plenty of exercises are part of the Mediterranean lifestyle. Here, we’ll take a look at some of the health benefits of the Mediterranean diet and why doctors and nutritionists often rave about it. 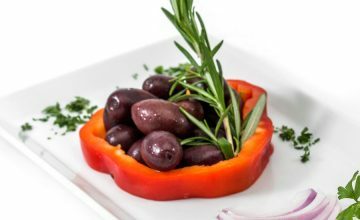 As a diet consisting mostly of plants, the Mediterranean diet offers enzymes to aid digestion, as well as beneficial nutrients that contribute to the body’s overall health. It also considered a high alkaline diet. All of the recipes are simple, prepared with easy to source ingredients. 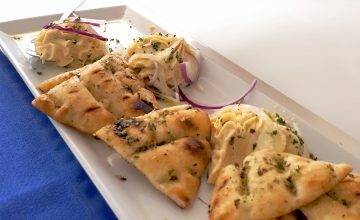 This gives the Mediterranean dishes their delicious taste. Just think of how easy it is to put together a Greek salad: Cut fresh tomatoes, cucumbers, red onion, and bell peppers, sprinkle some olive oil, add the Kalamata olives, then just drop the feta on top and finish the dish with a dash of oregano. Simple yet oh so delish! Incorporating the basics of healthy eating, the Mediterranean Diet is considered a great heart-healthy eating plan. Research shows that the traditional diet reduces the risk of heart disease and is associated with lower levels of “bad” (LDL) cholesterol. The diet is rich in alpha-linolenic acid (ALA) from olives or olive oil which has been found to decrease the risk of cardiac death by 30% and sudden cardiac death by as much as 45%! The Mediterranean diet fights cancer as it integrates an abundance of vegetables which is rich in antioxidants. It has been proven to help reducing inflammation, stops cell mutation, and delays tumor growth. 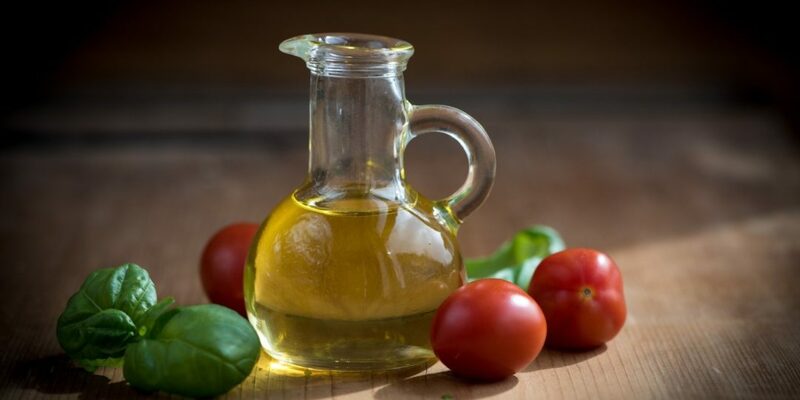 Additionally, many studies have shown the effectiveness of olive oil in decreasing the risk of cancer as well other major diseases such as Alzheimer’s and diabetes. If you are looking to lose weight in a healthy way and without feeling hungry, the Mediterranean diet is definitely a diet plan you ought to try as it is one that I have personally found to be effective. 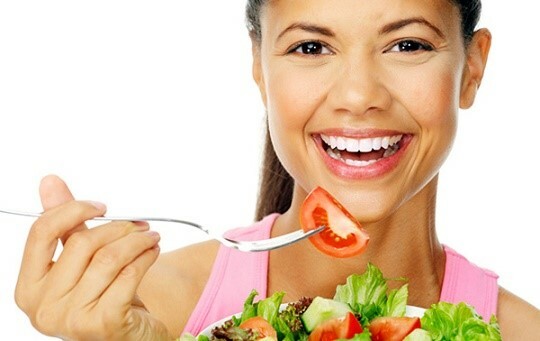 Moreover, it is both a sustainable and worthwhile diet, which helps you manage the weight on the long run. If you prefer a low-carb approach, focus on fish, poultry, vegetables, nuts, and olive oil. On the other hand, if you want to try the vegetarian way, you’ll be pleasantly surprised to have a variety of meal options. 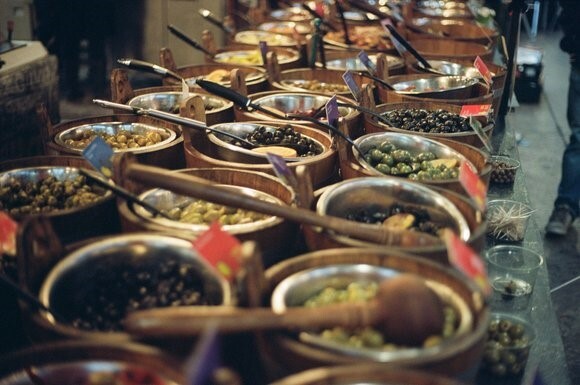 Convinced that the Mediterranean diet is worth a try? 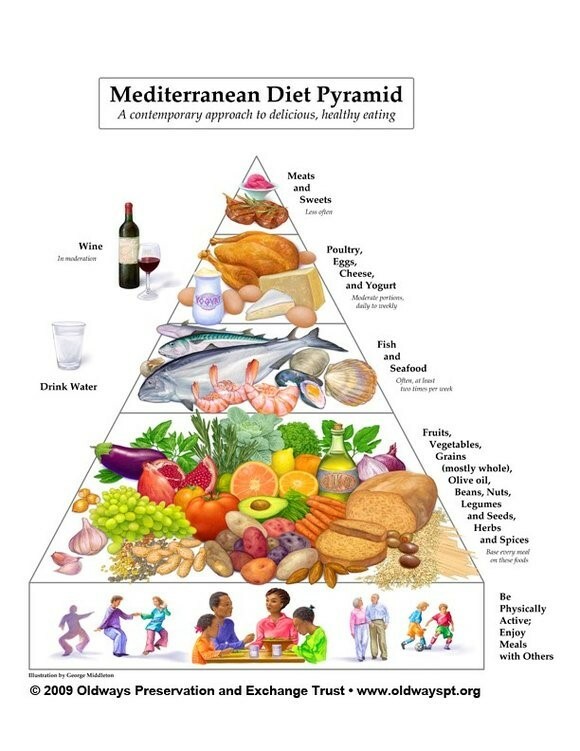 I recommend that you start slow and make gradual changes from your current diet to the Mediterranean diet. One of the easiest things you can do is to first swap the use of butter and all types of oils with olive oil. You can also choose whole grains instead of refined ones (for bread and pasta). Each week, substitute at least one read meat meal with a fish-based one. Instead of using mayo, opt for hummus. Be sure to also check out your neighborhood’s farmers’ market to purchase fresh organic and in season produce you can integrate to your diet on a daily basis. 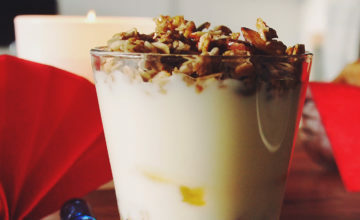 Generating fuel by producing Greek yogurtWhat is eaten in Greece on Easter? 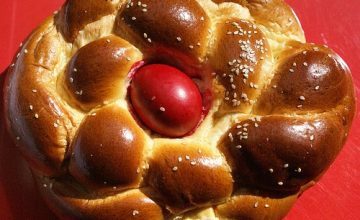 What is eaten in Greece on Easter? 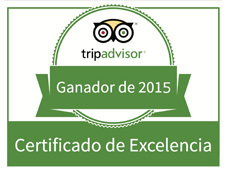 © Sabor de Grecia. 2015. All rights reserved.